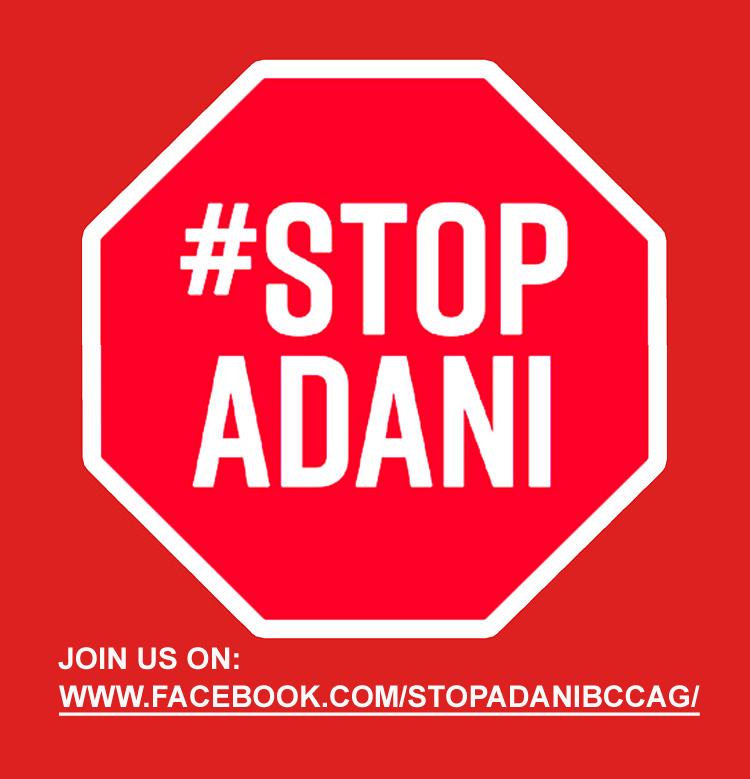 The BCCAG Active group was formed in 2016 to put pressure on supporters of the Adani mine project by taking public protest action at their premises. Active Group members were initially drawn from the regular membership list but now every new member applicant is invited to join in. Whilst some group members are specifically trained in Non Violent Direct Action, there are no limits on age, gender, physical ability or skill levels in order to participate. Members are encouraged to act as they see fit and at a level they feel comfortable with. No one is required to do anything they do not wish to do however, all members are willing to participate in public protests on important environmental issues they care about. The group has participated in a range of actions and campaigns not only in Bayside and surrounds but also in support of other regional groups meeting with MPs in Bendigo, Victoria, to working on the frontlines of action against the Adani coal mine project in Bowen, Qld. If you are interested in participating in active group work, please contact our co-ordinator David Williams, david.williams.cpi@gmail.com.